Made in the USA. "Top of Stairs". 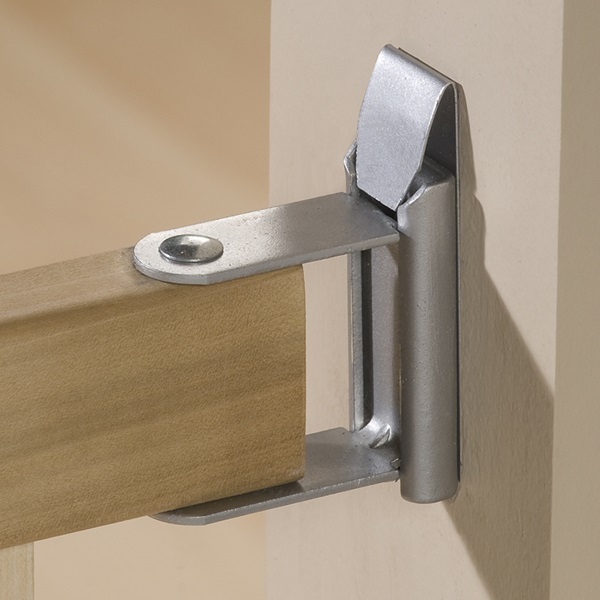 This contemporary wood slat gate installs easily with simple hand tools. 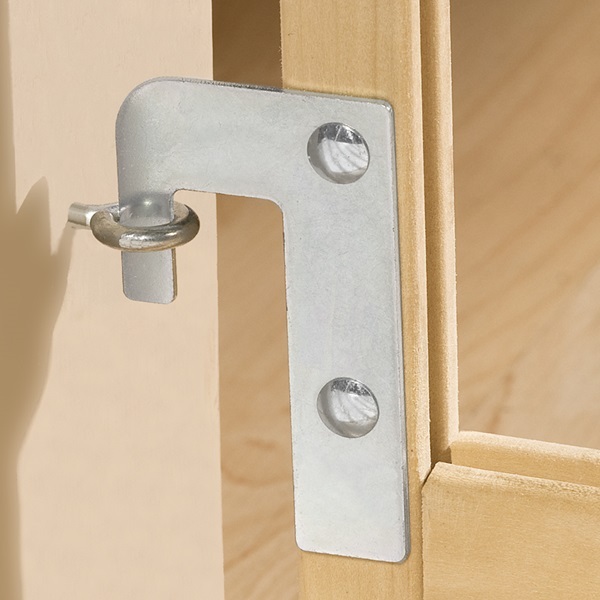 It features our "Soft Touch Latch" for easy securing. 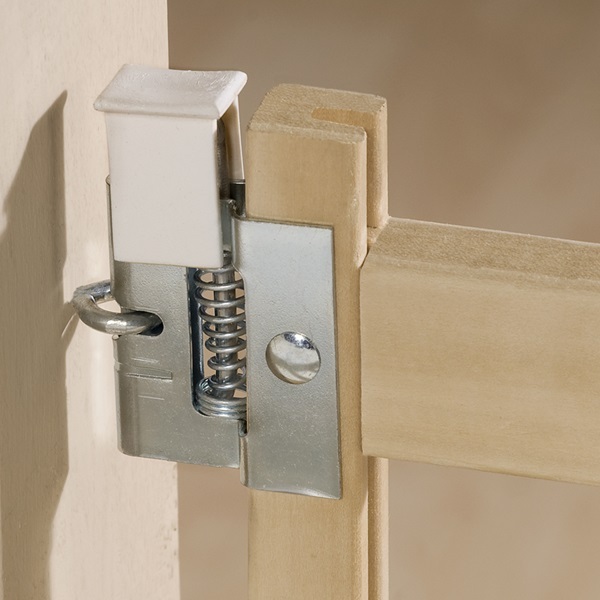 This gate also features a "Quick Remove" feature which allows removal of gate from the attached wall, without tools, when not in use. It swings more than 180 degrees for convenient walk-thru ability and storage against the wall when not in use. Swing gates are recommended for more permanent usage since hardware is required for a mounted gate. The frame and slats are both made of sturdy American Hardwood. This particular gate was designed exclusively for taller children. The wood slat design is also ideal for larger pets. Fits openings: 33”- 54”(W). 30”(H). Including uneven openings.